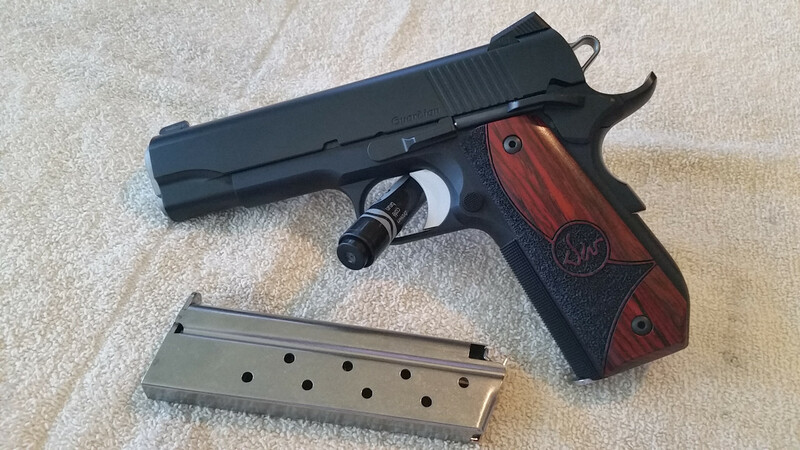 Truth be told this is my favorite 1911 model, I’ve owned several some considered “higher end” than the Guardian, but this one just has the “it” factor........you have something pretty special, enjoy! Congrats on purchasing a beautiful DW!! "Ain't she a beaut, Clark?" Yeah Eddie. She's a beaut. I love mine. I added some VZ carbon fiber frag grips. I like the look better than the provided wood ones. Either way, you’re going to enjoy it thoroughly! Remember, start at a 6:00 hold for sighting...most come that way now. Nice! Great buy, very happy with my DW out of the box. Swapped out to VZ grips, haven't touched anything else. Has performed like a champ. 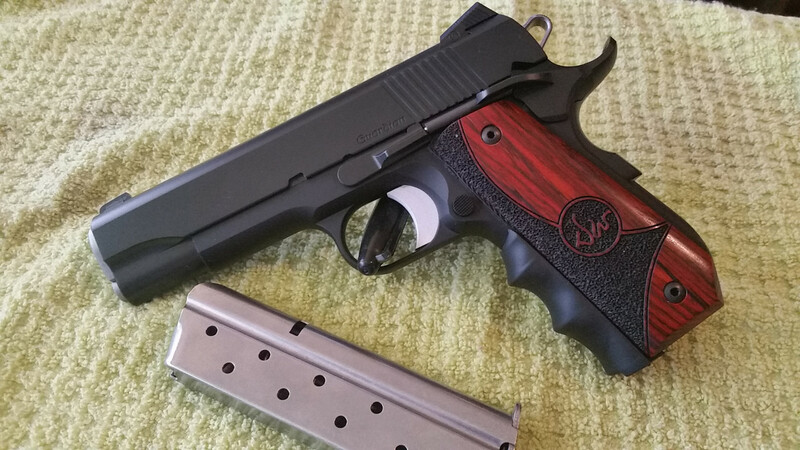 Agree with you on fit and finish- far superior to all other 1911s I’ve owned. ( SA, Colt, S&W, Sig) Of all of those, I only have the DWs and the S&W. I can smell the newness. Great guns!! Stick with 115gr ball for the first 100-200 rounds until it breaks in. Mine wouldn't shoot 147gr until about 250 rounds and now it happy with everything it gets. Just be warned, these will spoil you and make you compare all other guns to them.